Right now, there is a large invasion of Hawfinches (Coccothraustes coccothraustes) recorded for Great Britain. The peak took place in fall 2017, and good numbers have remained during the winter months. With fewer than 1,000 breeding pairs in Britain, Hawfinch populations are critically low and the bird is Red-listed as a Bird of Conservation Concern, according to the RSPB. 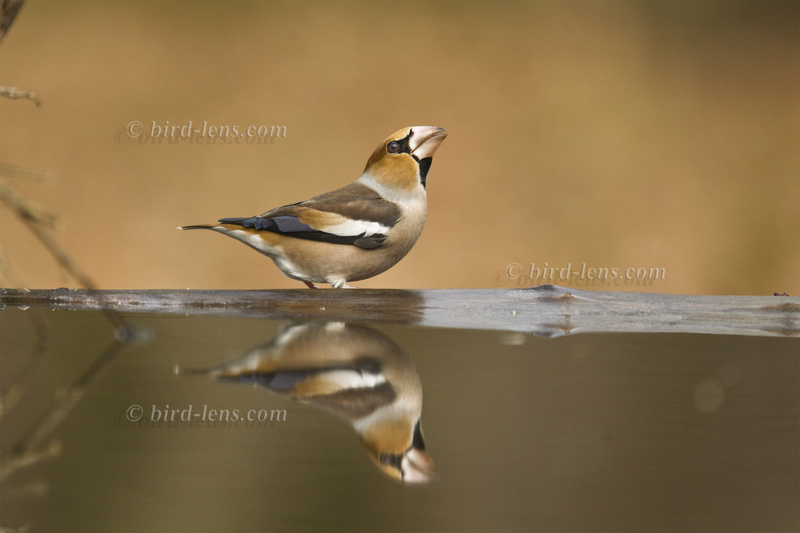 On the continent – especially in the eastern parts, Hawfinches are not as rare as in the western part of Europe. But to photograph them, is tricky enough. 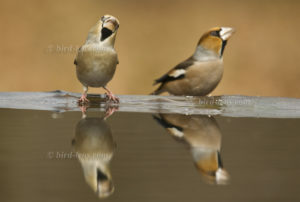 Hawfinches are notable for their bright brown-orange-grey colors and for their unusually large beaks and strong jaws. Hawfinches are real beauties. Famous are their beaks, which can shear open hawthorn, cherry and even damson stones. Like all finches, Hawfinches use the cutting edge at the back of their bills to hold a stone while they crack it open and skilfully extract the kernel with their tongues.